Kelly Electric completed the electrical installation of a 1.8 megawatt rooftop solar project for Constellation Energy in Belcamp, MD—the largest single rooftop solar installation in the state. Constellation Energy financed the project and will own and maintain the solar power system for 20 years. 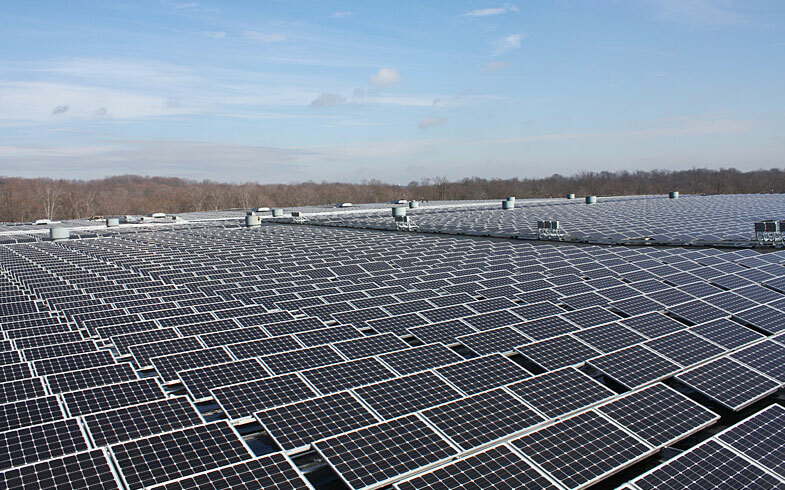 McCormick purchases energy produced by the solar installations hosted at its facilities. Structuring solar projects in this way creates an attractive business model that creates no upfront costs for customers and provides them with firm power costs over a long term. McCormick is estimated to save $3.4 million in electricity costs over the term of the agreement. With the completion of the McCormick project Kelly Electric is now up to 3.8 megawatts of contracted electrical installations for Solar PV systems. Kelly is currently working on another project at Coppin State University with Constellation Energy which will total 500KW when completed. In 2009, Kelly Electric, completed the installation of their own solar photovoltaic (PV) generating system at their offices in Upper Marlboro, MD with Standard Solar and Washington Gas Energy Services. The system of nearly 150 kW produces about 60% of Kelly’s electrical power needs, saving the company money while demonstrating environmental responsibility and leadership. Other projects that Kelly Electric has been involved with include the 2009 Solar Decathlon for the Department of Energy, 420 kW install at Catholic University in DC for Standard Solar, three systems for SunEdison totaling 316 kW, and a 585 kW system at NIST in Gaithersburg for Legatus6 . Kelly Electric works with many industry professionals to create renewable energy projects. The firm also installed wiring for a demonstration solar generating project at Sousa Middle School in Washington, DC with Standard Solar. This project, sponsored on President Obama’s National Day of Service by the League of Conservation Voters, was attended by the Secretary of Energy Dr. Steven Chu. John E. Kelly & Sons Electrical Construction, Inc.